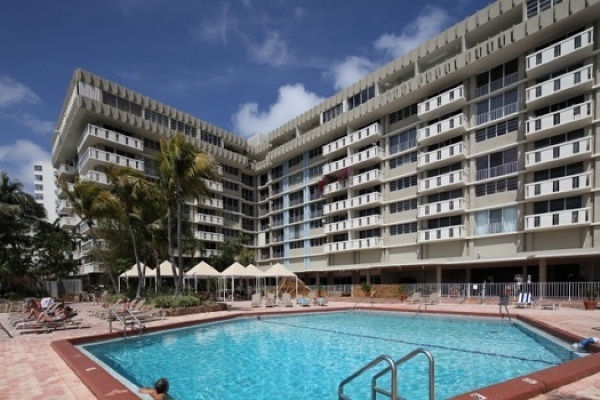 The South Bay Club is located on West Avenue and is a ten story building with a total of 347 Miami Beach condos for sale available as one or two bedroom residences. The building is located within the South Beach area and offers views of Biscayne Bay, the Venetian Islands and the cityscape of Miami to the west. Residents of South Bay Club can make use of amenities which include a cardio and weight room open from 8:00 AM to 11:00 PM, a pool deck that overlooks the water, a recreation room and even a small convenience store called the Bay Club Market. The units of South Bay Club condo are available with 510 to 1,150 square feet of living area. High ceilings and modern appliances plus generously sized balconies are some of the residential features. Choosing South Bay Club means you'll be within the South Beach area which presents many opportunities to explore and enjoy the various sights and sounds. These include Flamingo Park, Lummus Park to the east, Nikki Beach Club, Ocean Drive, Smith & Wollensky plus much more. The MacArthur Causeway provides easy access to the neighboring city of Miami just west from South Bay Club across Biscayne Bay.